The sister of the late Senator Miriam Defensor, Atty. 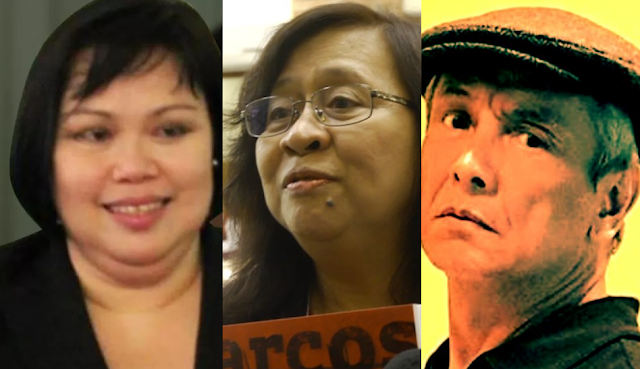 Paula Defensor-Knack whipped the likes of the Duterte detractors Raissa Robles and Political Activist Jim Paredes. The iconic whiplash slamming apparently runs in the blood of the Defensors, trigger one and you are in for an intellectual beating. Sadly Robles and Paredes weren’t careful enough, they annoyed Atty. Defensor-Knack by tweeting that the “Duterte government is in panic mode” and slammed the genius leader to the point that Defensor-Knack wanted to teach these skank experts a proper lesson. “So stop saying about panic because PRRD is no the type who panics AT ALL. You are deluding yourselves, The country is exercising its RIGHT UNDER THE ROME STATUTE. Your posts are, as usual, useless and uninformed.” She added. 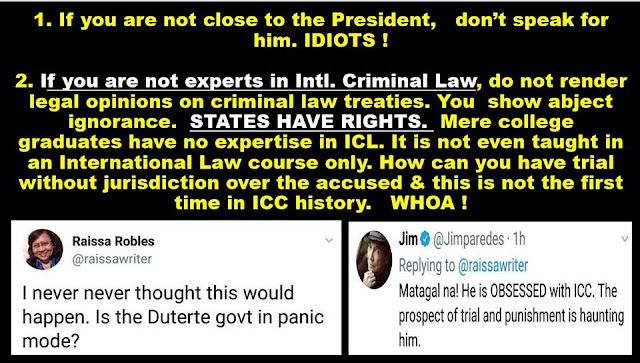 The attorney made two valid points on her post, first of all she Robles and Paredes are not experts in International Criminal law, so their statements and opinions have no merit. Second would be that the state has as much rights to join than it does to withdraw. Defensor-Knack ended up labeling these two entities, Robles and the Political Activist Paredes to be both useless and uninformed. A shame and sham to the news industry and for the political stands that they are fighting for.